The effective development and management of food safety programmes are essential to minimise the occurrence of foodborne illnesses and outbreaks. However, this responsibility is increasingly difficult to fulfil because of the growing human population and the increasingly global food supply chain. Future demands on the global food supply will challenge our ability to provide a sufficient supply of food that is reliably safe for consumption. Continuing population growth, together with the improving economic status of developing countries, mean that we will need to double food production over the next 40 years, and all this is in the context of climate change, the diminishing availability of fresh water, fossil fuels and arable land, and the emergence and spread of new foodborne pathogens. 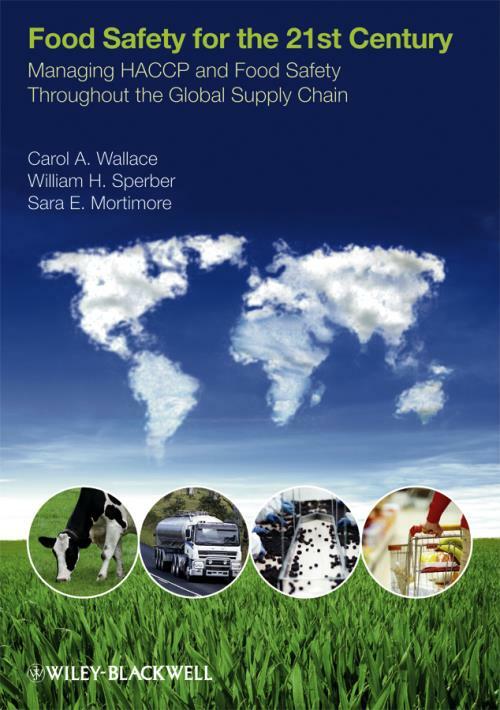 With their combined experience of around 90 years in food research, management and education focused on food safety and quality practices, the authors have written Food Safety for the 21st Century in an effort to assist all participants in the global food supply chain, from farm to table, in fulfilling their individual responsibilities with regard to food safety assurance. With a firm basis in the preventative approaches of safe product/process design, HACCP and prerequisite programmes, this supports the industry duty to make all foods safe for all people. Comprehensive and forward looking, the book includes sufficient technical detail to support the complete range of food safety activities, from hazard analyses and training programmes to regulation and policy development. It is designed to be a valuable reference for food safety researchers, managers and regulators worldwide and as a key text on academic food safety courses.